Fantasy Friday ~ CHOCOLATE! It Cures Everything! Look how gorgeous that Sacher Torte (the first picture) is! For those of you who don't know, a Sacher Torte is an apricot and chocolate cake with a rich ganache glaze... It's incredibly rich, and incredibly delicious. After chowing down some torte, I would dream myself to Florence... When I open my eyes, I am sitting in the Piazza della Signoria sipping hot chocolate from Rivoire. A MAZ ING... Like the best chocolate you'll ever drink in your life!! I am not afraid to say it... I LOVE nutty bars so much that when (and if) I buy them, I literally have to ration them. I will pull out two packages, and then put the rest down the disposal so I don't eat them out of the trash. I can't believe I just admitted that, but that's me! Don't even get me started on Hostess Cupcakes! Or, white chocolate peanut butter cups? The super sweet and the salty? OMG! I am drooling! You know those people who are against mixing fruit with their chocolate? I am NOT one of them. 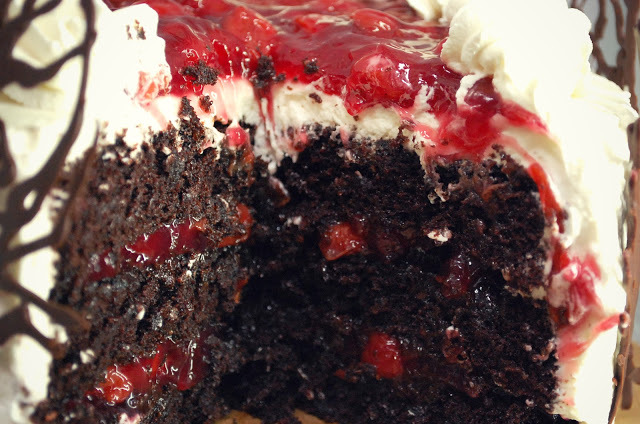 My FAVORITE cake in the world is a Black Forest Cake! I want to jump through the screen with a spoon in each hand... Maybe I'm sharing too much, but I'm depressed and really tired! 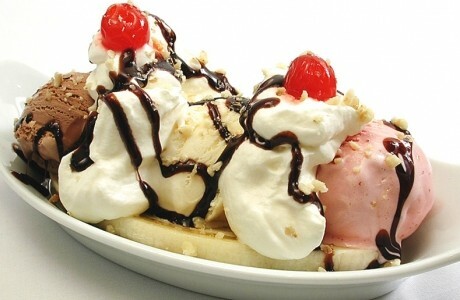 Finally, because I am tired, crabby and probably gaining weight writing this post, the banana split. I have no words. As long as one of the scoops of ice cream is chocolate, then the rest just falls into place. Right? 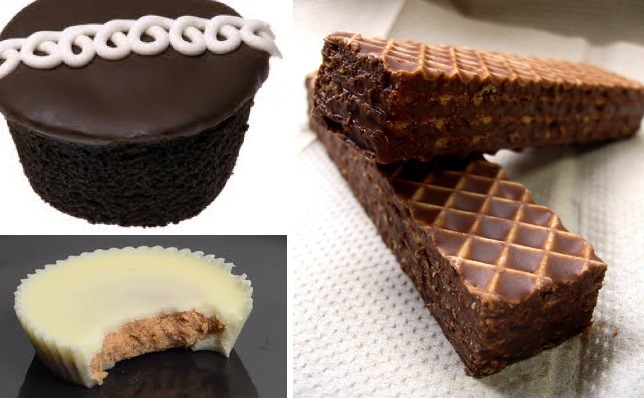 What is YOUR chocolate fantasy? Bridey, do you dream in chocolate when you get depressed?